In typical fashion with everything Zune related, there's always someone that refuses to respect the press embargo that they agree to in the first place, and retailers don't understand what the term "launch date" means. I wonder why Apple doesn't have this problem with the iPod? 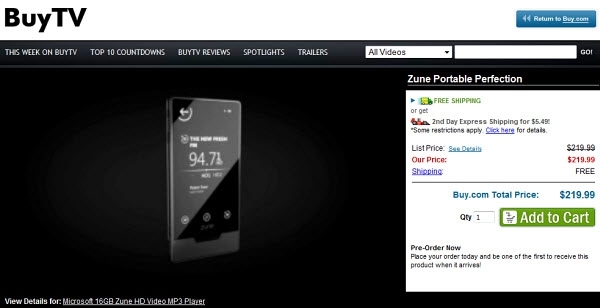 At any rate, if you want to check out some videos of the Zune HD, here they are.